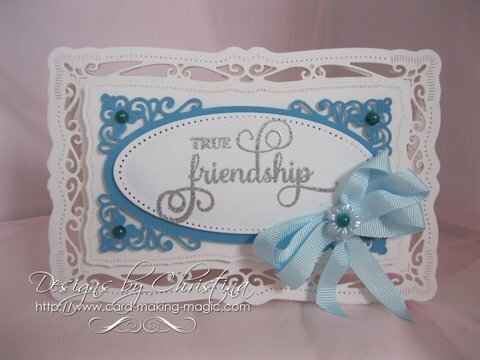 Using your Spellbinders to make beautiful shaped Filigree Hinged Cards will give you a lovely edge to your designs and you can make these with any of the fancy edged dies that you have in your collection. Don't be afraid to cut your die cut shapes up, turn them round, fold them, extend them, decrease them ... there are so many things that you can do. This beautiful card has been created using the Spellbinders Detailed Scallops with just some foiled paper added to cover the top. So make yourself that cup of coffee and sit back to relax as you watch the short video tutorial on how to make these beautiful cards for your self. This one has been created with the Radiant Rectangles and used so that it has the hinge along the widest part creating a Landscape card. They make lovely cards for any occasion. And because the size is only about 4" x 6" when finished ... and provided you keep the embellishments low key ... it will fit into a standard sized envelope and so save on postage. So please try these for yourself. 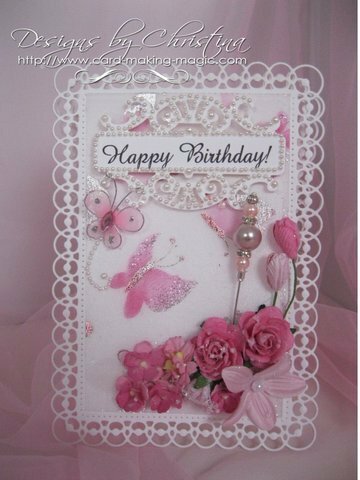 They are the kind of card that look intricate and difficult to make but once you have a go you will see how easy they are to make. This size of die will go through any die cutting machines even those with the smaller cutting area. So take a good look at all the dies in your personal collection and see if there are those that can be used to create this look for your card base. Use the smaller ones to create invitations or Thank you notes. And the larger ones can make cards that will be very pleasing on the eye.